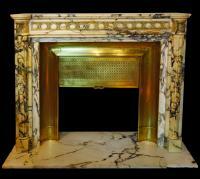 A French Louis XVI style Rose phoc�en marble fireplace. Ca 1880. 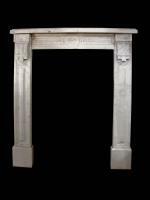 A French Louis XVI style Bardiglio and Carrara marble chimney. 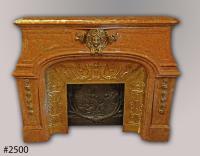 Ca 1890.